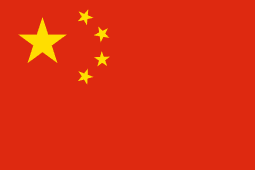 This week we will be highlighting China! 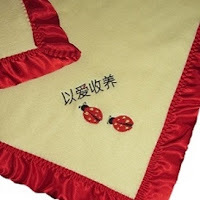 In many cultures Lady Bugs are considered a sign of good luck and fortune, in the world of adoption the meaning of the Lady Bug symbol is more specific. It is thought that if a lady bug crosses your path then its a sign that your referral will be arriving soon. 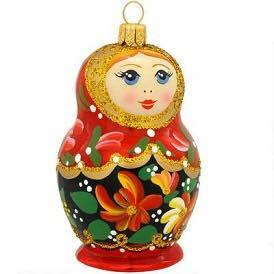 But its long standing tradition of representing good luck makes it a popular choice when decorating and buying gifts for adoption showers! 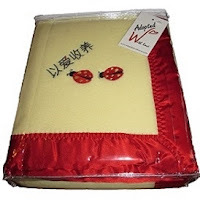 This adoption blanket makes a wonderful first gift for your adopted child, bringing warmth and comfort without words. Plus it is lightweight and easy to fit in your suitcase! Let it become their security blanket as they become part of your family. When welcoming a new child into your family it is important not to forget where they came from. With biological children they are raised along side their heritage but for an adopted child they have an opportunity to learn the heritage they are raised in and the one they came from! 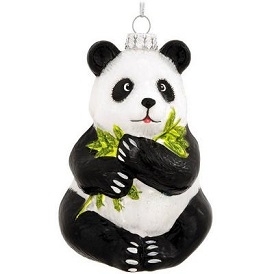 Thats why we offer gifts that come from a wide range of countries! So your family can incorporate your child's heritage into your daily life! We will be highlighting a different country in our upcoming entries to show you what we have to offer to help you celebrate your child's heritage! 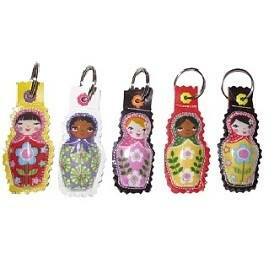 Some examples of these are our Matryoshka Doll ornaments, pens, and key chains! 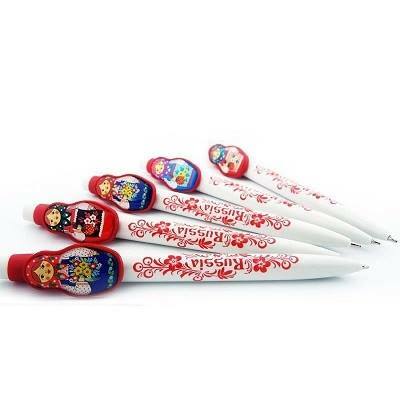 They are special keepsakes and an original way to celebrate your Russian/Ukrainian heritage!